Washington (CNN) Vermont independent Sen. Bernie Sanders will headline MoveOn.org’s “Don’t Take Our Health Care” bus tour this weekend, making stops in various East Coast states to challenge the newly released Senate health care bill. With planned stops in Pittsburgh, Pennsylvania, Columbus, Ohio and Charleston, West Virginia, Sanders and leaders at MoveOn — a progressive public policy advocacy group — will speak at rallies urging GOP senators to save the Affordable Care Act and challenging Republican talking points that the alternative to Obamacare is a better option for Americans, according to Brian Stewart, director of media relations at MoveOn. The tour is additionally designed to put pressure on the Republican senators in those states — specifically, Sens. Pat Toomey of Pennsylvania, Rob Portman of Ohio and Shelley Moore Capito of West Virginia — to vote against the Senate bill when it comes to the floor next week. Sanders has called the Senate’s health care bill “the most harmful piece of legislation” he’s ever seen, and in the past warned that “thousands would die” if it passes. Following the House GOP’s failure in March to pass its first version of a health care bill, Sanders said he was planning to introduce legislation that outlined a “Medicare-for-all, single-payer” health care plan. 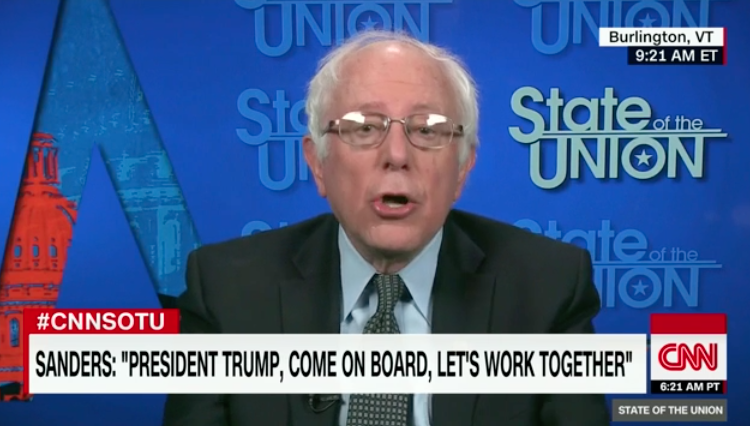 “Ideally, where we should be going is to join the rest of the industrialized world and guarantee health care to all people as a right,” Sanders told CNN. MoveOn has made saving Obamacare a main focus since President Donald Trump took office. The Congressional Budget Office is expected to release its scoring of the proposed legislation early next week and senators are expected to vote on the legislation shortly afterward.